A $16 million opening weekend isn’t fatal for a film that was projected to open in the $18–$20 million range. (Universal will happily remind you it’s in the same neighborhood of Argo’s debut.) But a week of “Why First Man Failed to Blast Off” headlines is not the sort of thing you want to deal with if you’re trying to position your movie as an Oscar front-runner. 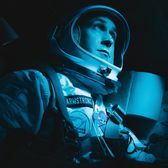 Going into the season, it was looking like everyone else might have had to play catch-up to Star Is Born and First Man; now it feels like Star alone is leading the pack. A question I’ve been asking myself: Why not The Hate U Give? 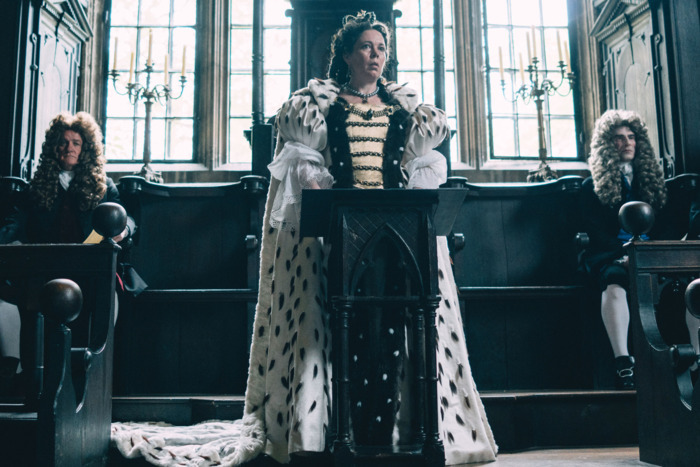 The film heads into wide release this weekend boasting a great Rotten Tomatoes score, solid box-office numbers in limited release, and an Audience Award win at the Hamptons Film Festival, where it triumphed over contenders like First Man, Green Book, The Favourite, and Roma. 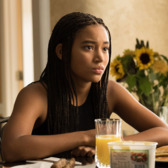 If even the East Hampton crowd is onboard with this YA adaptation — to quote Amandla Stenberg, “I’ve never seen so many white people crying before” — am I crazy for thinking its chances of nabbing a nomination might be stronger than most pundits think? Speaking of Rotten Tomatoes, Heller’s literary dramedy Can You Ever Forgive Me? is currently rocking a perfect 100 as it heads into theaters, with Richard Brody praising the director’s “extraordinary, tense balance of moods and tones.” Melissa McCarthy and Richard E. Grant seem the most likely recipients of Oscar’s largesse, but with awards-watchers starting to include the film as a Best Picture contender, could voters looking for a female candidate in the director race also rally around Heller? If there’s one upside to First Man’s underwhelming opening, it’s that it inspired the film’s defenders to come out hard in caping for Chazelle’s opus. THR’s Scott Feinberg reported that the film’s Academy screening was just as packed as Star Is Born’s — nay, even more so! 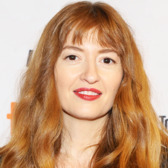 — and AwardsDaily’s Sasha Stone has made singing the film’s praises her personal mission. 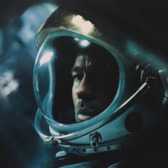 I don’t think Chazelle needs to be worried: Oscar voters love him, and he and Claire Foy seem most likely to be insulated from the dangers of a First Man crash. The Gotham Awards aren’t the greatest Oscar barometer — the voting pool is so small, and only indie films are allowed in — but it’s always good to know you’re liked. 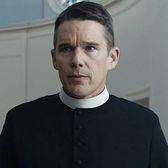 As with any summer release, the fear with First Reformed was that everyone would forget about it by awards season, but with the film co-leading the Gothams in nominations, including a Best Actor nod for Hawke, it’s gotten a fresh bump onto voters’ radars. The actor’s been a tireless campaigner during the season’s opening phase, and it looks so far like his efforts have been paying off. Rumors had been swirling that James Gray’s space drama was going to get an awards-qualifying release, but this week the film got pushed back to May 2019. Which is honestly fine: Two astronaut movies starring a guy from The Big Short would have been too much to handle. Many pundits, myself included, had assumed that Colman would take advantage of the weaker supporting-actress slate and cruise to victory there. 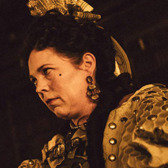 But no — like Marlborough at Blenheim, the actress has decided to force a fight with her strongest opponents by running as a lead. It’s a major vote of confidence for Colman, who took home the Best Actress prize at Venice last month. This race seems to have gelled around a top four: Colman, Glenn Close, Lady Gaga, and Melissa McCarthy. Mulligan is getting great reviews as a raging wife in early ’60s Montana, but she’s got strong competition for the fifth spot, and a snub in the Gothams (which, as one observer noted, you’d think would have been all over Wildlife) does not bode well for her chances. Most of the raves for Can You Ever Forgive Me? single out Grant’s turn as Melissa McCarthy’s confidant-slash-accomplice for special praise. 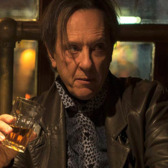 As Peter Travers writes, the actor “hasn’t had this juicy a role to feast on in years. He’s simply sublime.” A Best Actor nomination at the Gothams (which don’t have a supporting category) is the cherry on top. If you thought you could get out of an Oscar Futures column without an entry for A Star Is Born, well, I’m sorry. 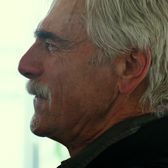 This week, GoldDerby pondered whether Star could be the first film since Network to take home three acting Oscars, a question that hinges on Elliott, whose odds are considered longer than Gaga’s or Bradley Cooper’s. His best hope is a Titanic-style wave for the film, but those have been few and far between recently. 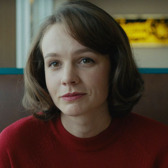 Colman going lead doesn’t just affect the Best Actress race; it’ll also have repercussions down in Supporting, as well. Can Rachel Weisz and Emma Stone both make it into the final five? 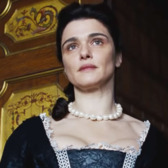 Stone’s considered the slightly stronger candidate right now, but I’m optimistic Weisz can sneak in, too: The Gothams chose to hand a special prize to all three women, a sign that they’ll be considered an inseparable unit come awards time. 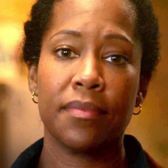 Still, the biggest beneficiary of Colman’s departure is probably Regina King, who alongside Claire Foy can probably stake a claim to being this race’s new front-runner. Festival reviews were incredibly strong — Justin Chang called King “magnificent” — and I don’t anticipate that changing once the movie’s released in November.